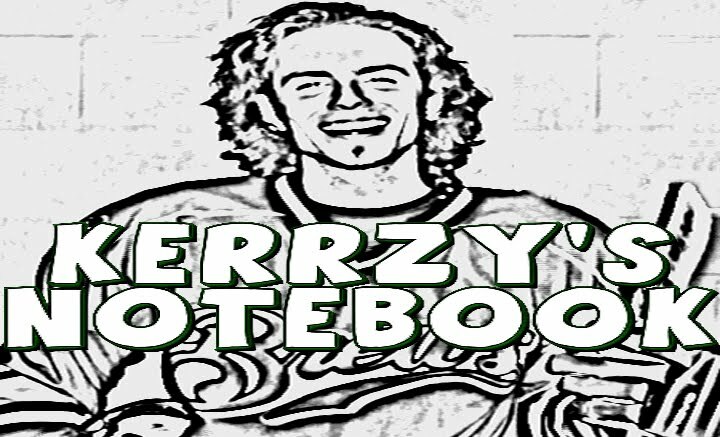 Another chapter has been written in the ongoing feud between the Boston Bruins and the Vancouver Canucks. As both players skated towards a loose puck, Marchand heads south for a low hit (which isn’t a great idea) and Salo starts to turn away (again, perhaps not a great idea). The latter ends up flipping over the former’s back and landing awkwardly against the boards, suffering a concussion. I understand that Marchand has a reputation as somewhat of a “dirty” player, but I think the NHL is wrong here. At the very least, we shouldn’t be looking at a five game suspension. One thing we’ve heard a lot about this season is the question of whether or not a player put himself in a vulnerable position prior to a bad hit. For the most part, we’re talking headshots when we hear that question being asked, but I wonder if it’s worth asking in this case. 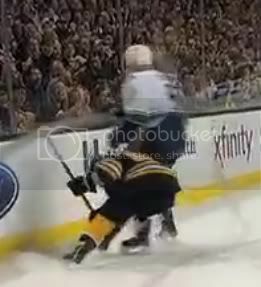 Just before contact is made, Salo starts to turn away from Marchand, and because of the way he is facing during the hit, the back of his head slams into the ice before any other part of his body. If the league is taking into account the fact that Salo was injured on the play, they should be considering his positioning as well. If he doesn’t turn, he probably doesn’t land on his head like that. Then again, maybe his knees bear the brunt of it if, but maybe he throws all of his weight onto Marchand and flattens him. I don’t understand how this is a five game suspension, on the same day that JF Jacques is given three games for a headshot (his second ban of the year), and a week after Rene Bourque gets five for the most blatant headshot you’ll see all season. What do you think: Does Brad Marchand deserve five games for his hit on Sami Salo?